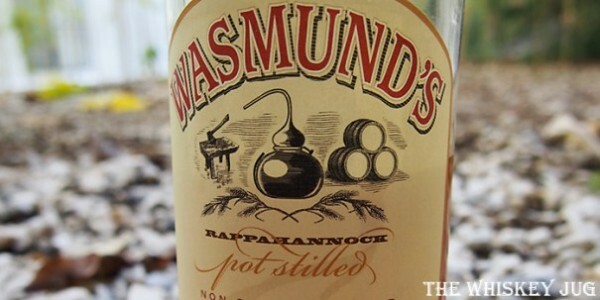 Originally created by the Copper Fox Distillery in Virginia, the Wasmund’s Single Malt Whiskey doesn’t exist under this label anymore. Everything they do is now under the Copper Fox name. 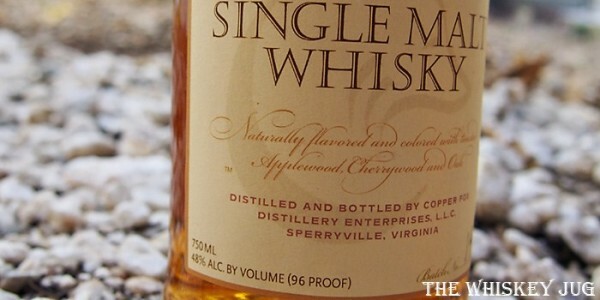 Outside of that it’s a “traditional” American Single Malt from a craft distillery I’ve been curious about for quite a while. I’ve seen their name and tasted a couple of their products at events and shows, but haven’t really been able to sit down and give them a thorough tasting. But thanks to a generous friend I find myself able to sit down with this on a “rental” basis. Copper Fox Distillery is the only distillery in North America to hand malt its own barley, and the only distillery on the planet to use apple and cherry wood smoke to flavor the malted barley. Our single batch copper potstill produces one barrel at a time and the spirit is non-chill filtered to preserve the complete flavor and essence of the barley grain. Raw malt, tangerine, coppery oil, dry herbal, menthol and a bit of raw oak and vanilla. Coppery malt, citrus zest, raw grain, raw wood, spice, menthol and herbal with bits of cocoa and dried fruit. Medium -> Fruit, raw malt, wood, spice and menthol. Not fully balanced, medium body and a warm oily feel. On the back of the bottle it talks about their chip and barrel aging method helping the whiskey reach optimal maturity “faster”, but this is a pretty raw tasting and smelling whiskey… I think they need to work on their method a bit more. The aroma and palate are filled with raw grain, raw spirit and raw wood notes that scream youth, but they don’t scream it off key. Meaning it shows some promise. Looking at their site they say the Copper Fox Single Malt (the “new” name for Wasmund’s Single Malt Whiskey) clocks in at 12-14 months old, which is definitely an improvement. I’d be interested to try the older whiskey but at even 14 months I suspect it’ll also have some raw notes to it. I have yet to experience a maturation method that produces a better spirit than time. 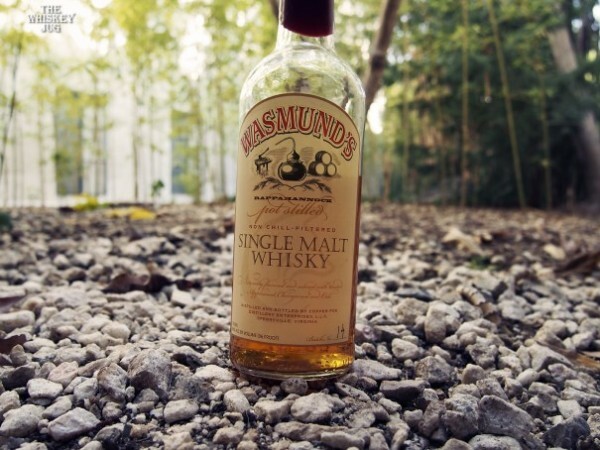 Wasmund’s Single Malt Whiskey is young and raw but shows promise with a decent base spirit. 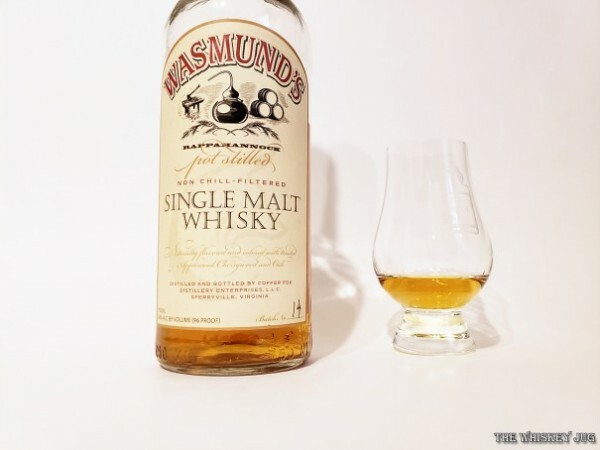 The post Wasmund’s Single Malt Whiskey Review appeared first on The Whiskey Jug.